There’s a lot of concern over air pollution — especially the haze you can distinctly see settling on the horizon. But it might be surprising to learn that the air quality indoors is often just as bad, and in many cases worse, than the air outdoors. People, on average, spend the majority — about 90% — of their day indoors, so they’re more likely to inhale the pollutants that are lurking indoors. 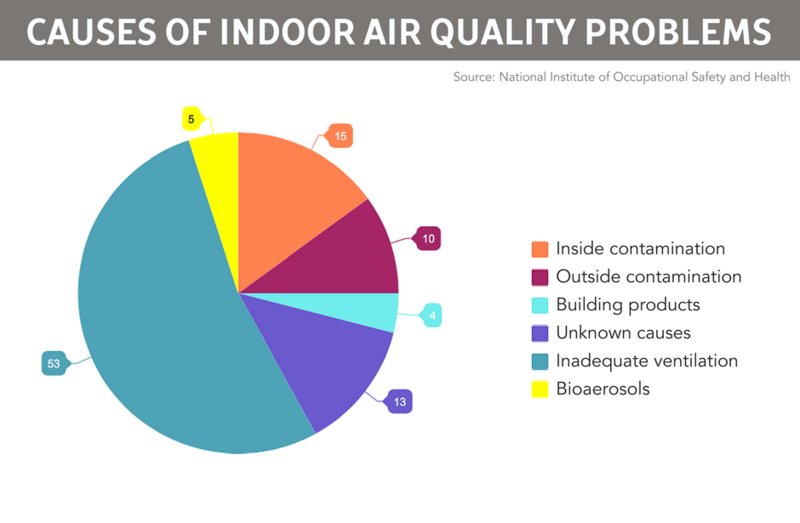 Poor indoor air quality can be blamed partially on common pollutants entering buildings through air leaks in the structure. 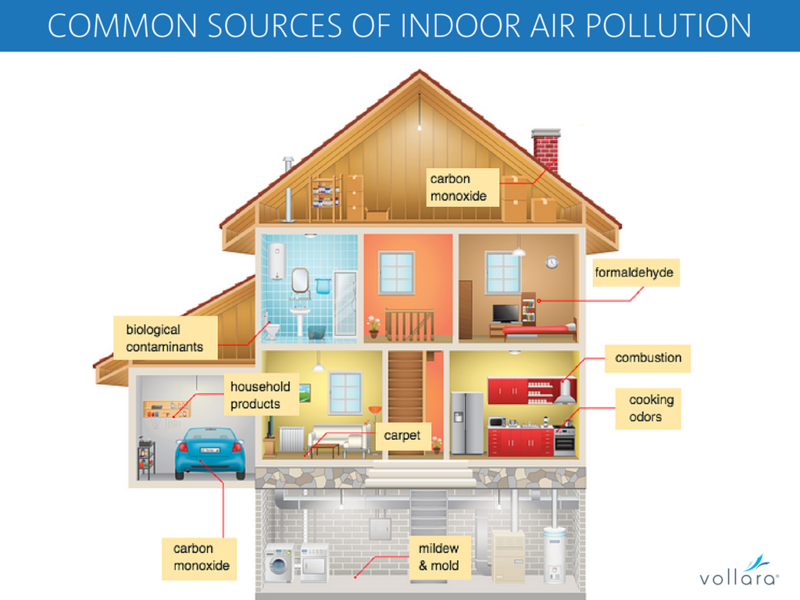 But indoor air pollutants can also come from sources commonly found indoors, where they often become trapped, as newer homes tend to be better built — meant to retain heat and cold better, and not be drafty. While there are obvious positives to better quality homes, their unintended ability to trap pollutants isn’t one of them. Household items like consumer products, gas appliances, building materials and furniture can all release toxic emissions, called VOCs (volatile organic compounds) that can lead to serious repercussions for the health of you and your family. VOCs are organic chemicals that have a high vapor pressure at ordinary room temperature. They’re emitted as gases from certain solids or liquids, and can include a variety of chemicals, some of which may have short- and long-term adverse health effects. 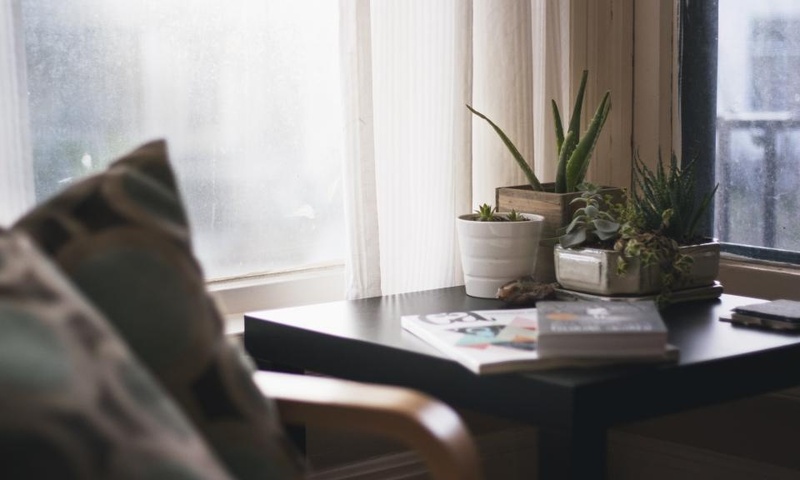 According to the EPA, concentrations of many VOCs are consistently higher indoors (up to ten times higher) than outdoors. Organic chemicals are widely used as ingredients in household products. Paints, varnishes and wax all contain organic solvents, as do many cleaning, disinfecting, cosmetic, degreasing and hobby products. All of these products can release VOCs while you’re using them, and, to some degree, when they’re stored. Pollutants come in two main forms: particulate (particles) and gasses. Particulate pollutants include things such as fine dust, dust mites, pet dander, mold spores, and pollen. Gas pollutants include VOCs that come from many sources including cleaning solutions, carpets, building materials, and plastics. Other common pollutants include tobacco smoke, radon, and fumes from fuel combustion (from furnaces, gas stoves, cars, etc.). Another way to reduce poor indoor air quality is by using a high quality air purifier to help remove many of these contaminants from the air. This will ensure that the air you’re breathing is clean, fresh and free from harmful contaminants.